SPEC Corporation is a very young company. They started in January 2010. 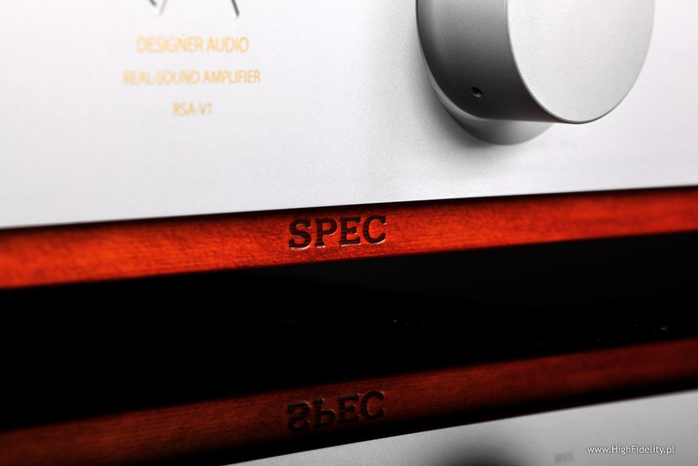 The pretext for their launch was the RSA-F1 integrated amplifier known in specialist audio literature as real-sound amplifier as well as add-on RSP-101 loudspeaker filters called real-sound processors. I mentioned the latter in my editorial Small dreams in the 90th issue of High Fidelity. These little boxes have proven so cool that I kept them to partner my Harbeth M40.1. I took great interest in reviewing this amp. When the Japanese get serious about anything, they usually approach it in a very unique way. 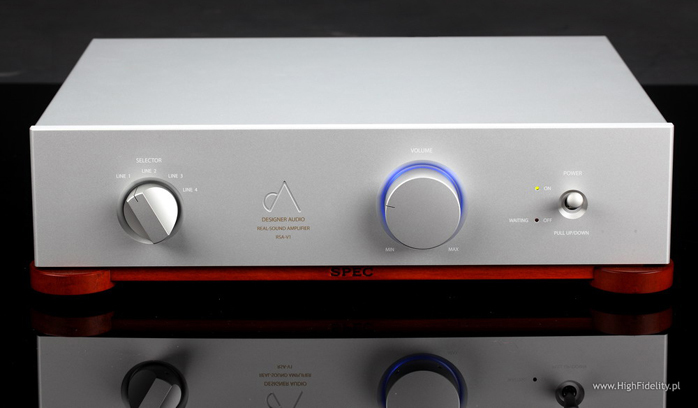 And class D amplifiers definitely deserve serious consideration. However this review would not have happened had it not been for the stubborn help of Messrs Hontai Yoshi and son Elia. To introduce me to today's subject they sent me a brief list of the most important items I should know about the RSA-V1. 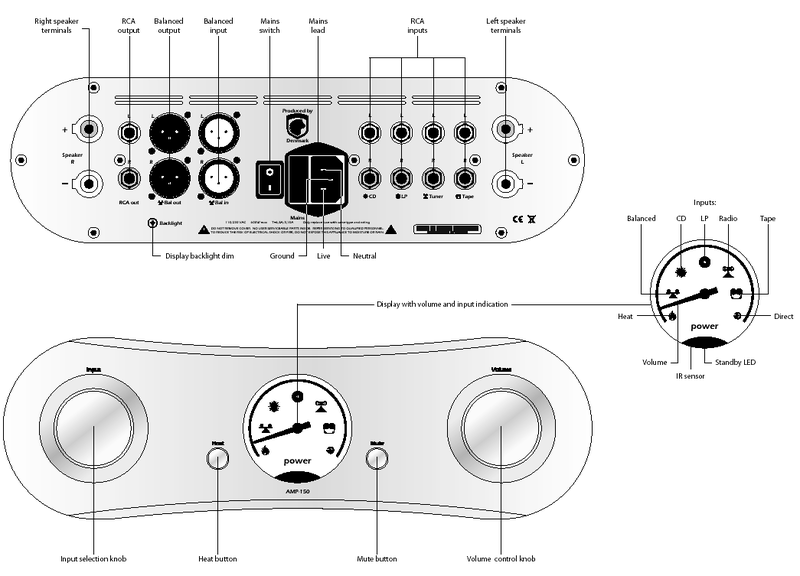 The electrical circuit was designed by a talented engineer working for many years at Pioneer who sought to come up with the best possible single-ended amplifier based on 300B tubes. It uses the best available pulse amplifier system in a purely analog circuit (the power supply is linear and fully analog too). The oil capacitors are a reproductions of the WEST-CAP NOS units. The powerful amplifying system uses modules exceeding 90% efficiency so the amplifier generates almost no heat. Due to high power it can effectively control almost all available speakers including those of low efficiency such as Kiso Acoustic HB-1. It's why Kiso Acoustic chose SPEC amps to demonstrate their HB-1 at trade shows. Wooden base obtains as saturated a sound as possible. Safe power switch as used in aircraft cockpits. How can we sum this up? 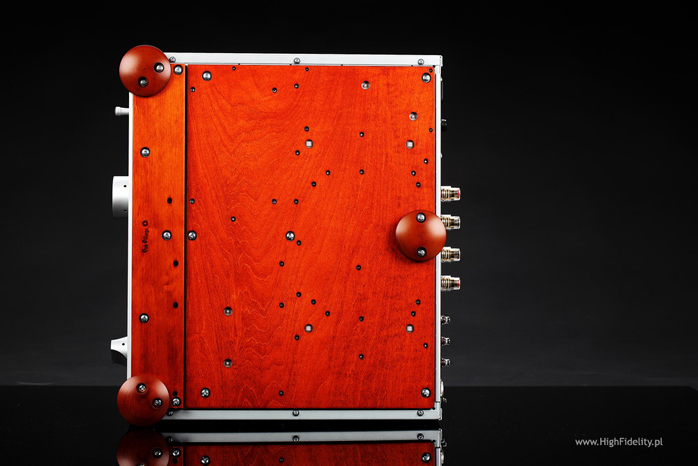 Perhaps like this: the SPEC amplifier is an analog switching design operating in class D adding NOS components and it is enclosed in a housing that combines wood and aluminium. 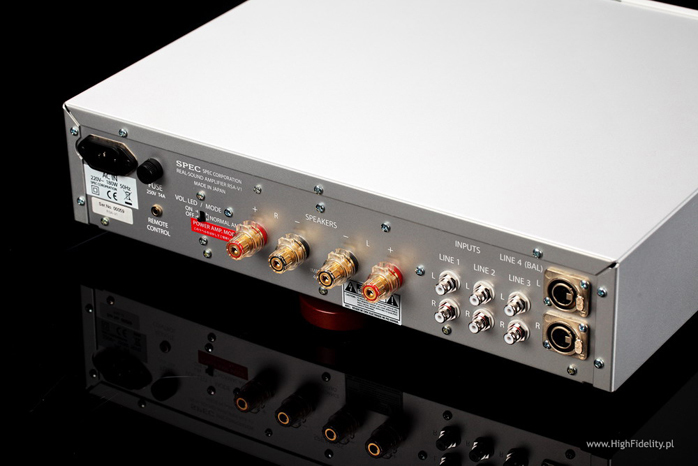 It was intended to closely match the sound of 300B amplifiers but add scale and power. Let's see how this design brief translates to reality. ... Jean Michel Jarré, Magnetic Fields, Epic/Sony Music, 488138 2, CD (1981/1997); Jean Michel Jarré, Téo & Téa, Aero Production/Warner Music France, 699766, CD+DVD (2007); Jimmy Smith and Wes Montgomery, Further Adventures of Jimmy and Wes, Verve/Universal Music [Japan], UCCV-9359, SHM-CD (1969/2008); Michael Jackson, Thriller, 25th Anniversary, Epic/Sony Music Japan, EICP 963-4, CD + DVD (1982/2008); Nosowska, 8, Supersam Music, SM 01, CD (2011); Sara K., Don’t I Know You From Somewhere?, Stockfisch, SFR 357.6055.2, CD; The Modern Jazz Quartet, The European Concert. Volume One + Volume Two, Atlantic/East West Japan, AMCY-1186-7, K2 CD (1960/2000); Wes Montgomery, Incredible Jazz Guitar of…, Riverside/JVC, VICJ-41531, K2 CD (1961/1999).